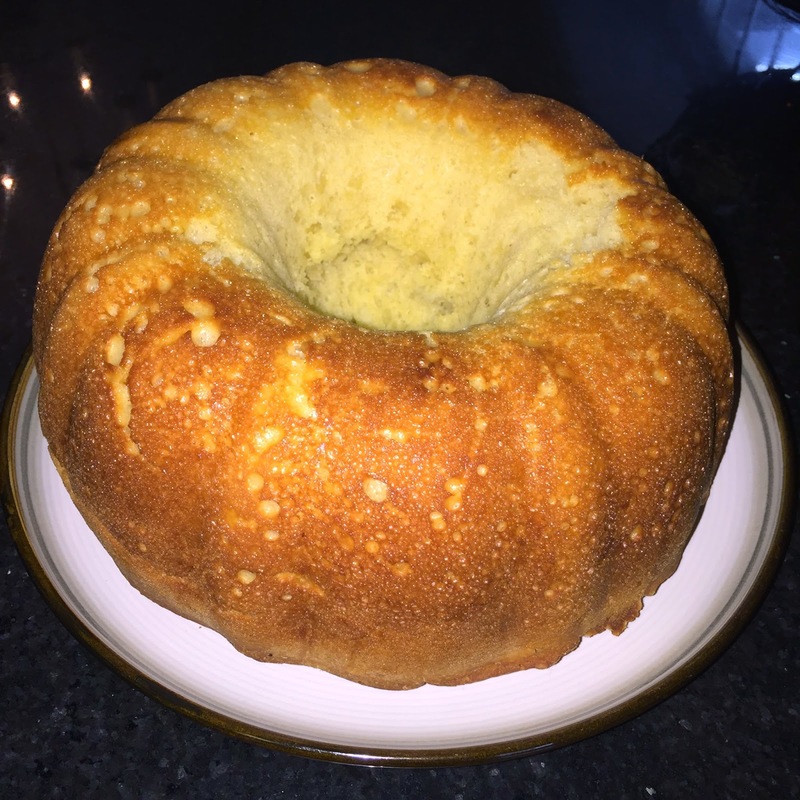 A Taste of History with Joyce White: Sally Lunn Bread: Moist and Delicious Every Time! Sally Lunn is a very rich, usually yeast-risen, eggy sweet bread that is best served warm with butter, preserves, or clotted cream. It can be made in the form of individual rolls or tea cakes or as one large bread (best baked in a tube pan to allow air circulation in the middle of the bread). The history of Sally Lunn Bread is very difficult to pinpoint with accuracy and, consequently, rumors abound regarding its provenance. First, based on the bread’s name, it would seem logical that the recipe was developed by a woman named, Sally Lunn. 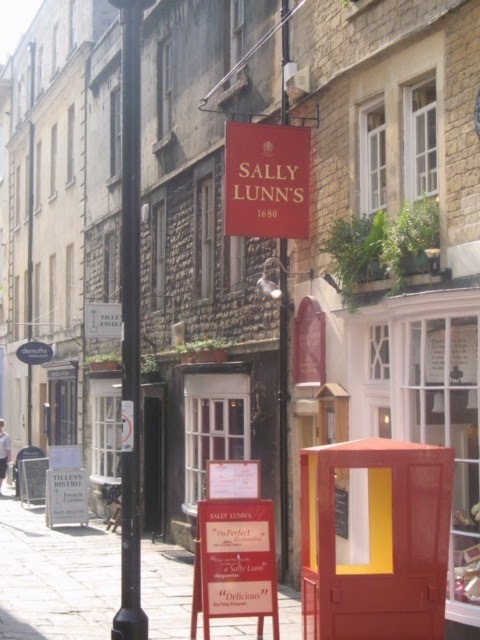 Evidence places Sally Lunn bread in Bath, England as early as 1780. Supposedly, a woman, named Sally Lunn, hawked these type of bread rolls in the streets of Bath and therefore the rolls became known by her name—however, there is no reliable evidence to prove this part of the story. It is even more difficult to believe this Bath story because there is an American version of a Sally Lunn recipe that predates it by ten years. It is a circa 1770 recipe penned by the granddaughter of Virginia’s Governor Spotswood. 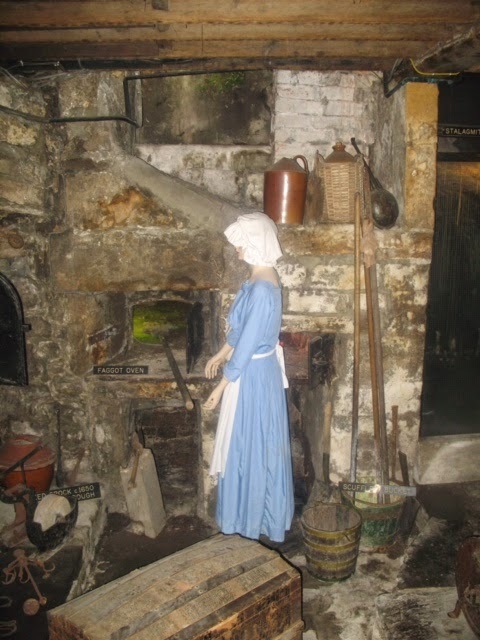 "Sally Lunn" Baking her Buns! Close Up of the Cooking Hearth at Sally Lunn's. Second: Eliza Acton has a recipe in her c.1845 cookbook for a similar type of yeasted bread she refers to as a 'rich French breakfast cake' called, Solimemne. Solimem is also another name likely based on the Solimemne version of the name for this cake/bread. These names may derive from the French soleil et lune (sun and moon to reflect the contrast of a dark crust and a very white center) which degenerated into, sol et lun, and then finally transformed simply into Sally Lunn. This theory seems the most logical to me. Third: Another theory suggests that the bread came from The Alsatian region of France. This theory suggests the French origins of its name; however, it is difficult to prove this theory either. As a matter of fact, the first French record of Sally Lunn is from 1815 by the French chef, Antonin Careme who visited Brighton, England to cook for the Prince Regent at the Royal Pavilion. At Brighton, the French chef was supposedly introduced to Sally Lunn bread; but then when he returned to Paris, he introduced this bread to the French claiming it as his own creation. There are many holes in this story, too, but the biggest one is the fact that Careme did not go to Brighton until 1816! So how did he learn about it before he ever even visited England? It is not surprising that there is no easy answer explaining the origin of this recipe. Folk traditions get passed on from one generation and/or region to another and therefore, while there is a lot of repetition, there can also be a lot of variation in both the history of the tradition and in its execution (in this case variations in the recipe). While the origin of Sally Lunn Bread may continue to be an enigma, there is no doubt as to the deliciousness of the bread. 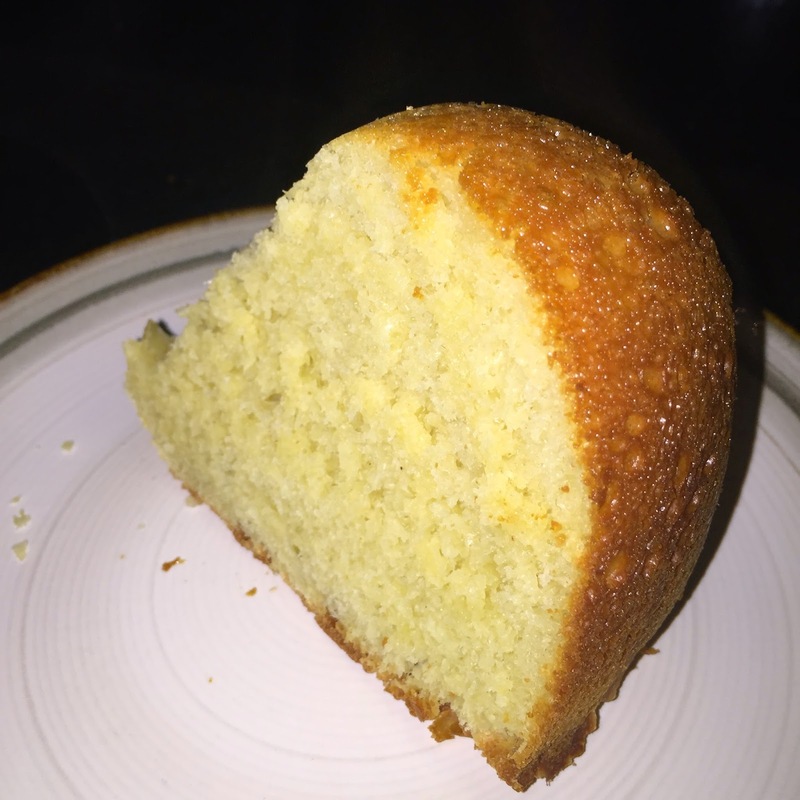 Below are several examples of historic recipes for Sally Lunn. Both the c.1770 Virginia and the c.1824 Baltimore recipes use yeast as a leaven but there is no mention of any flavorings such as mace. Rutledge’s, The Carolina Housewife, (1847), includes chemical leavenings of tartaric acid and soda (either sodium bicarbonate or potassium bicarbonate) instead of yeast, and she also instructs cooks to flavor the bread with mace. I offer a simple modern adaptation below combining elements of each of these recipes. Recipes from the Raleigh Tavern Bake Shop, Colonial Williamsburg Foundation Publication. Williamsburg, VA: 1984. Beat four eggs well; then melt a large Tablespoonful of Butter, put it in a Teacup of warm Water, and pour it to the Eggs with a Teaspoon of Salt and a Teacup of Yeast (this means Potato Yeast); beat in a Quart of Flour making the Batter stiff enough for a Spoon to stand in. Put it to rise before the Fire the Night before. Beat it over in the Morning, grease your Cake-mould and put it in Time enough to rise before baking. Should you want it for Supper, make it up at 10:00 o'Clock in the Morning in the Winter and 12: o'Clock in the Summer. Take about 3 pints of flour, rub in a quarter of a pound or less of Butter; a teacupful of good yeast, quarter of a lb. of sugar, two eggs, half a nutmeg & a little salt, make the dough, rather softer than for bread, set it to rise.butter the pan you bake in, and bake in a moderate oven – serve it hot for tea. Two eggs, two small cups of cream, two cups of loaf sugar, one pint of flour, half a pound of butter, one tea-spoonful of mace; the cream and butter to be warmed together and when melted, to be poured into the eggs and sugar, which must be well beaten together; sift the flour into it gradually, add a tea-spoonful of tartaric acid, one and a half tea-spoonsful of soda; the soda must be dissolved in warm water, and mixed in well. Have the pans buttered and the oven ready; then stir the acid in quickly; put into the oven immediately, before the effevescence eases. This cake is called after the inventress. Sift into a pan pound and half of flour. Make a hole in the middle, and put in two ounces of butter warmed in a pint of milk, a salt-spoonful of salt, three well-beaten eggs, and two table-spoonsful of the best fresh yeast. Mix the flour well into the other ingredients, and put the whole into a square tin pan that has been greased with butter. Cover it, set it in a warm place, and when it is quite light, bake it in a moderate oven. Send it to table hot, and eat it with butter. Or, you may bake it on a griddle, in small muffin rings, pulling the cakes open and buttering them when brought to table. This recipe is the one that I have been using of decades. It offers a rich and moist center with a firm but not tough crust. I hope you enjoy it as much as I do. Note: This recipe takes many hours to allow the dough to rise several times; therefore, start it in the morning for an evening meal. 1. 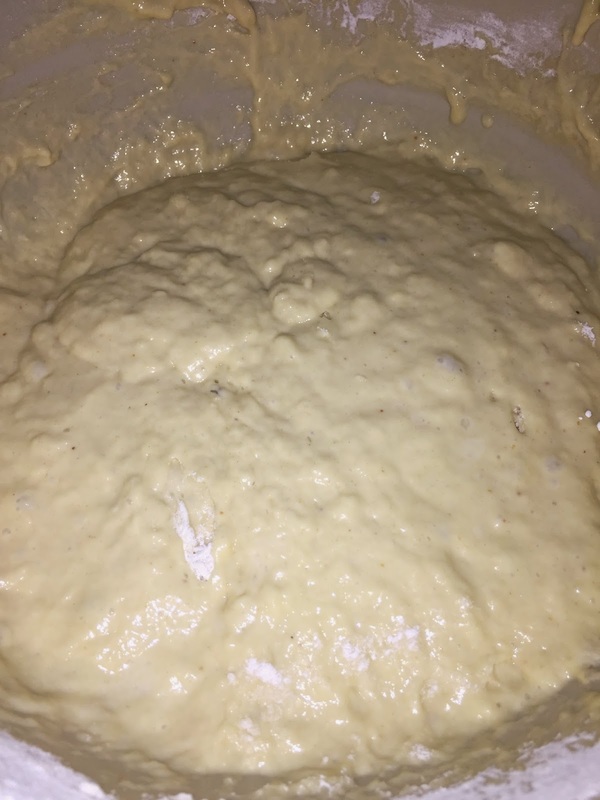 In a small bowl, mix together the warm water and the yeast. Set aside until it gets bubbly. 2. 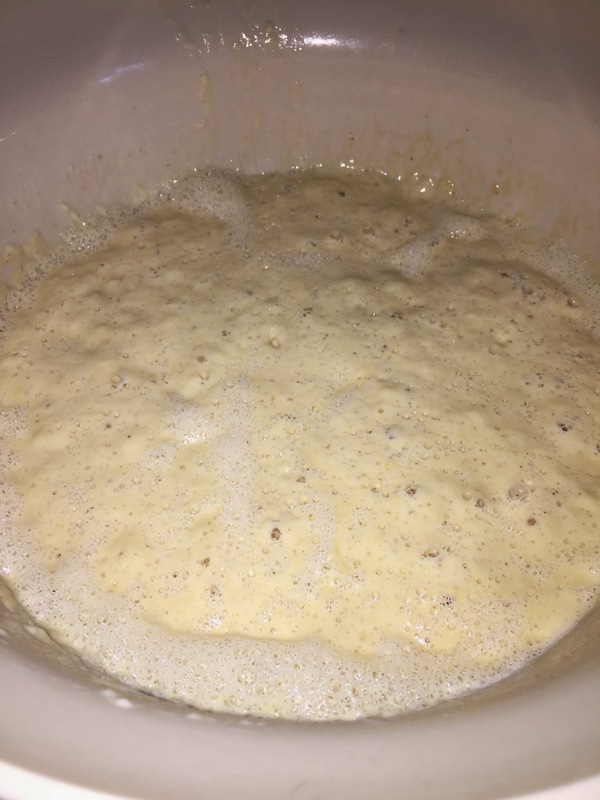 While the yeast/water mixture is getting bubbly, in a saucepan, mix together the milk, butter, salt, spice, and sugar. Set on medium heat just until the butter melts. Remove from heat and pour into a large mixing bowl. 3. Add the yeast/water mixture, and stir. Then add the eggs and stir. 4. Mix in 4 cups of the flour. The dough will be very loose and wet. Cover the dough in the bowl with plastic wrap and set it in a warm place to rise for 1 hour. 6. Cover the bowl and let it rise for another 3 hours in a warm place. 7. 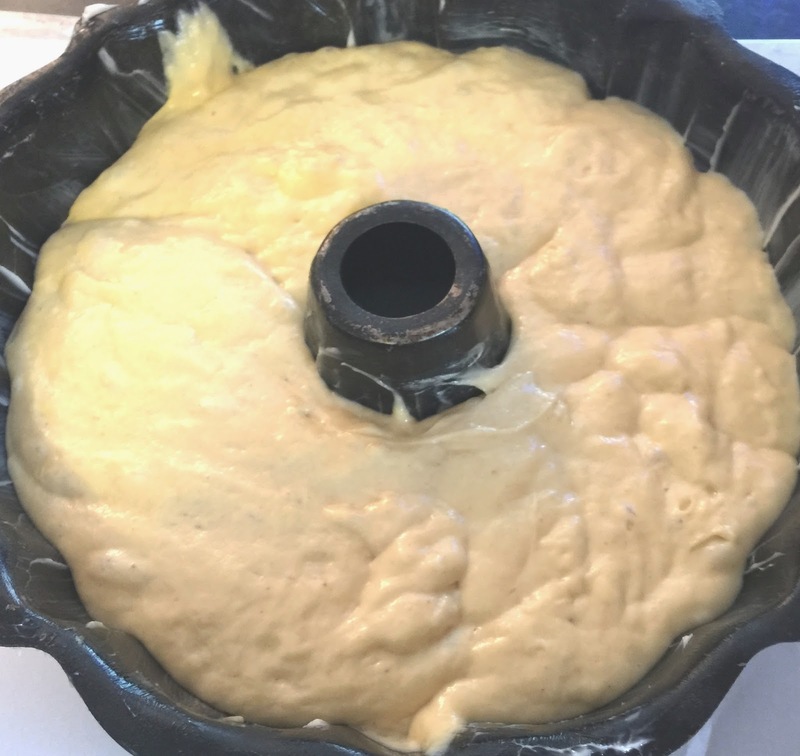 Grease a 9-inch tube pan with butter and pour/scoop the batter evenly into the tube pan. Cover tube pan and let the dough rise in a warm place for 20 minutes. Heat the oven to 350º F while the dough is rising this last time. 8. Place the tube pan on a baking sheet lined with parchment paper. Bake for 45 minutes or until bread is brown on top and sounds hollow when tapped. 9. Serve warm. Butter, honey, apple butter, jam, and marmalade go very well with this bread when it is hot. Cooled slices of the bread can be used to make sandwiches. The inside is moist and rich--perfect with butter or honey! 1. Alan Davidson, The Penguin Companion to Food, 2002, p. 820. 2. Recipes from the Raleigh Tavern Bake Shop, Colonial Williamsburg Foundation Publication. Williamsburg, VA: 1984. 3. Alan Davidson, The Penguin Companion to Food, 2002, p. 820. 4. Alan Davidson, The Penguin Companion to Food, 2002, p. 820.